Display your faith gracefully with this religious jewelry from the Roberto Coin Tiny Treasures collection. 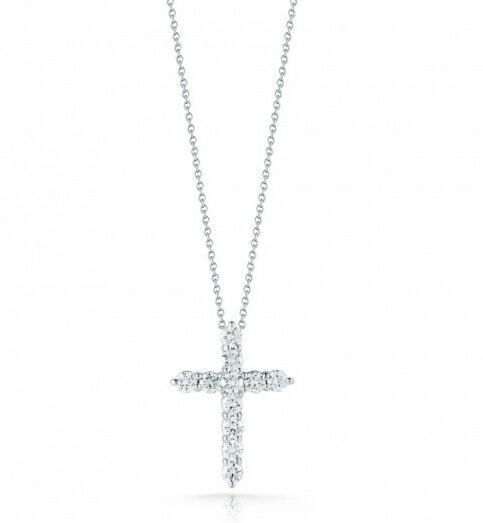 The cross is crafted in 18kt white gold, with white diamonds that give the piece an ethereal glow. The matching chain is adjustable from 16" to 18" in length. 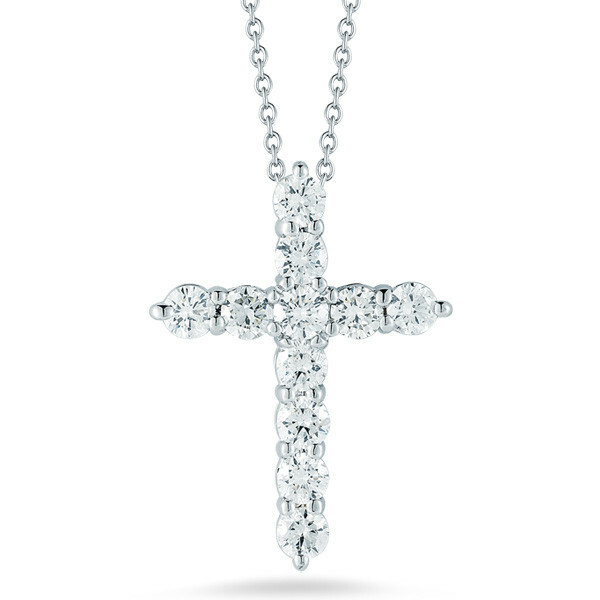 This beautiful Roberto Coin cross necklace will become a revered part of your collection!